Cobra’s Curse at Busch Gardens Tampa was my 100th coaster credit! I created a video looking at the queue and the coaster to celebrate. Cobra’s Curse is a steel, spinning family-coaster that offers fun and excitement for everyone. It also happens to have one of the best themed queues for any roller coaster outside of a Disney theme park. Cobra’s Curse was built by Mack Rides. Instead of a traditional lift-hill, you ascend via elevator to the top of the hill and an encounter with Venymyss. Then, the fun begins! Since it’s a spinning coaster, each ride will be different based on the weight of the riders. The ride reaches a maximum of 40 MPH. The queue has a unique habitat for vipers and a great pre-show. If it’s your first time, I really suggest that you hang out in the room with the mural for a few minutes and let people pass you by. 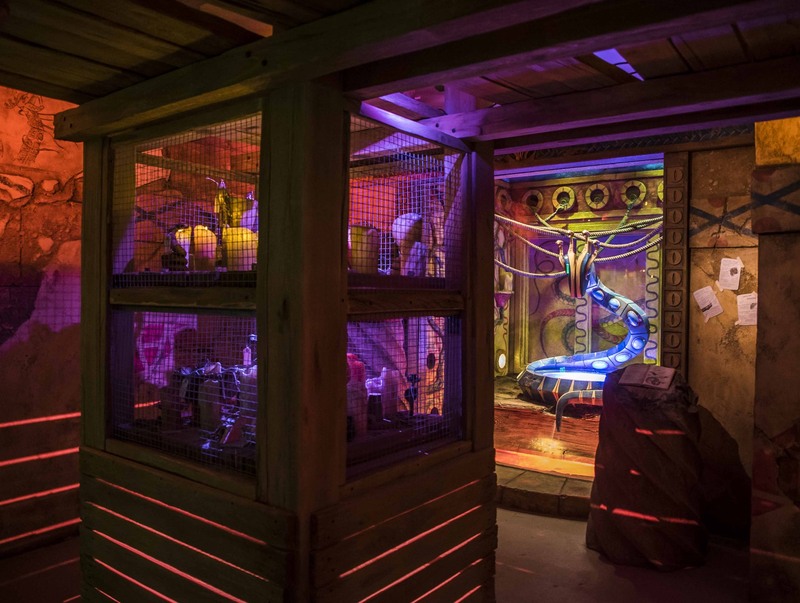 By the time you make it to the pre-show room, you’re very close to the loading zone, so you can spare a few moments—if you dare! Make sure to check out and subscribe to my YouTube channel for more videos on theme park history, Disney books, roller coasters and visits to theme parks like Busch Gardens Tampa, Universal Studios Florida and Epcot! I’ve become a big fan of Busch Gardens Tampa since my first visit two years ago. I recommend to everyone that you add a day you your central Florida vacation to experience this unique theme park. when you visit, you can see how Disney copied parts of it for Animal Kingdom. To me, the animal encounters were pretty special and vastly different from other animal parks and zoos. Plus, Busch Gardens Tampa has eight world class coasters (including Cobra’s Curse) and really good food choices. Any coaster enthusiast will have a wonderful time at the theme park. 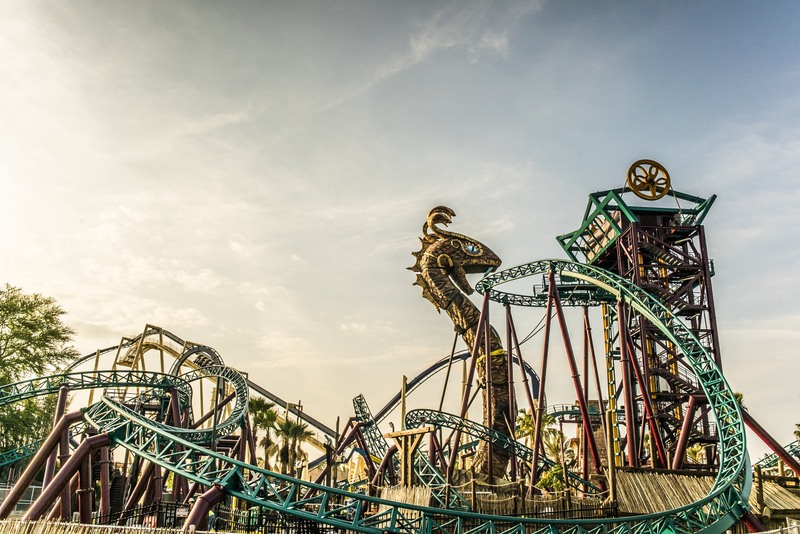 Have you ridden Cobra’s Curse at Busch Gardens Tampa?